Tea making is expression of bitter note. Bitterness is only relative to other flavors. 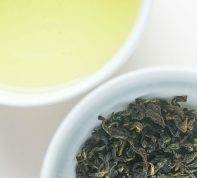 Sweet taste in green tea is balanced by mild bitterness to give complete flavor profile while oxidation of bitter leaf adds floral and fruity notes. Many people think green tea is bitter. It’s true, green tea can be bitter. However, there are ways to reduce bitterness in green tea both tea making as well as preparation. We’ll explore tea makers effort to reduce bitterness. 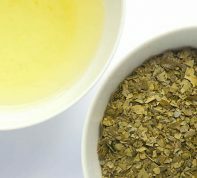 Also check out another post on how to prepare green tea to minimize bitterness and increase enjoyment of green tea. 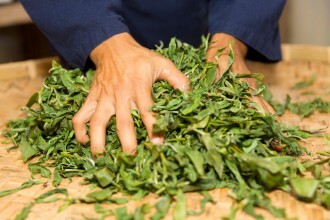 Green tea makers often use bitterness as an indication of skill level as well as understanding of tea making. Tea makers try to minimize bitterness while maintaining fresh aroma and flavor balanced. Some experienced tea makers not only minimize bitterness, but also bring out sweetness in green tea. This requires tea makers to understand nature of green tea in cultivation and in processing to best extract the optimal quality. Sometimes we come across bitter green tea and makes you wonder why some green teas are bitter. This is common mistake made by lack of understanding the leaf materials. Some cultivars and regions tend to produce more bitter leaf in raw material stage and tea makers need to understand how they should best processed to minimize bitterness. Common source of bitterness in green tea often comes from tannin and caffeine. 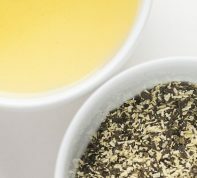 In black tea or oolong tea, tannin is partially or fully oxidized, the bitterness turns into fruity or floral flavor. In green tea, tannin is not oxidized so it stays as bitterness. Typically, green tea varieties are mildly astringent. This comes from EGCg, or also known as green tea antioxidants. If you don’t know what tannin tastes like, try and find acorn and chew it until you can’t stand it. It is extremely bitter and it comes out quickly and the worst part is that it stays in your mouth for a long time. More civilized way of tasting tannin is trying red wine. It is mildly tannic. The key difference in caffeine and EGCg bitterness is that caffeine bitterness is typically short lived while EGCg bitterness leaves residual mouth feel that stays for a while. These are both water soluble and they can be extracted quickly. There are many green tea varieties. Most commonly known green tea varieties are found in Japan and Northern China. These regions are typically in temperate regions with frost and snow seen in winter. This winter condition forced them to develop cold hardy varieties whose leaves are generally small and low in tannin compared to tropical black tea varieties. Low level of tannin typically makes these varieties more suitable for green tea making. Tannin gives sharp bitterness while catechins, typically known as green tea antioxidants, milder bitterness or astringency. Green tea is closest to raw leaf condition of all teas. Therefore, most fresh qualities are preserved. This also include bitterness found in tannin and catechins. The best intention of green tea makers is to replicate the reverse processing of tea making in a tea pot. Recently, some tropical regions that have always made black tea attempting to make green tea due to higher commercial opportunities. Yet, they do not understand that their assam or large leaf is not suitable for delicate green tea quality. I’m sure there are some ways to reduce bitterness in this type of green tea, but it limits the leaf’s inherent quality to be expressed. And there are hybrid green tea varieties. I’ve worked with many green tea makers in Japan trying to find new dimension in green tea. These hybrid varieties are often cross between traditional green varieties and tropical varieties. They add benefit of disease resistance in some delicate green tea leaves and new dimension in flavor while it makes more difficult to shape the leaf and extract the flavor in traditional way. Tea makers have spent a long time to find inherent quality in tea leaves and how best to extract the quality. Many regions adapted various types of processing from what leaves they have available. Some regions leaves are processed heavily to extract deep flavor while others lightly rolled and dried to bring out mild characteristics. Each tea maker have learned from mistakes of their own and previous generations. I have made green tea with many different varieties in different regions, Japan and China, and noticed the leaves do not respond in the same way. Most notably degree of bitterness change completely from one region to another. Other qualities such as mild floral note and sweetness, also change. It may seem common knowledge in tea making, but processing needs to be slightly or greatly altered depending on tea varieties and regions. There is no surprise why there are so many ways teas from different regions are prepared once you know the differences in tea making, cultivars and growing regions. Many cultures also adapted and developed their unique tea making to become a part of their food culture. Many oriental cultures enjoy green tea with red bean snacks and dried fruits. Certain degree of bitterness also enhances enjoyment of their food.